Honest Aytes: Fun Christmas Ornaments that double as gifts! 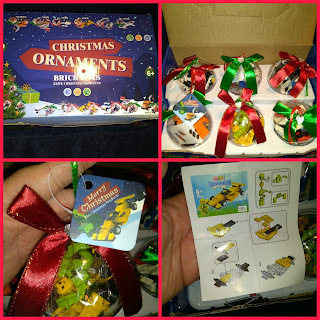 Fun Christmas Ornaments that double as gifts! These building brick block ornaments are very similar to LEGOS. 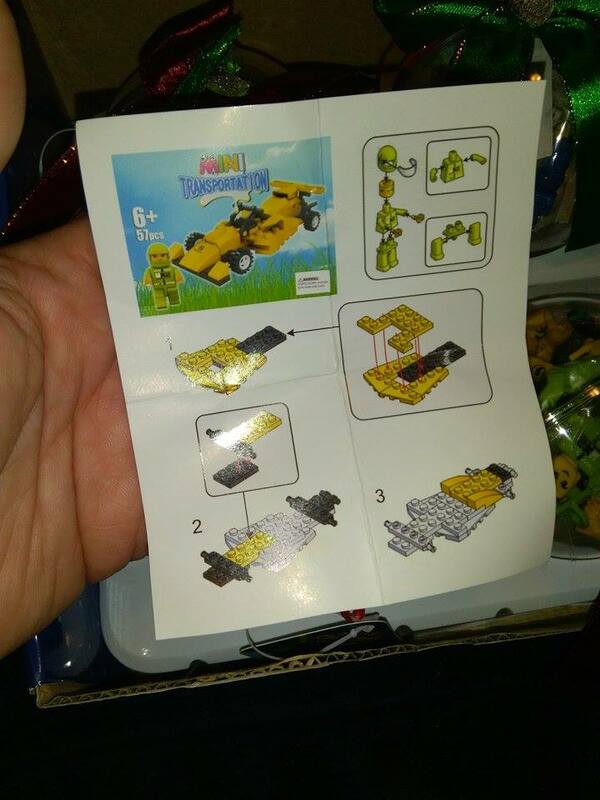 You get 6 ornaments filled with 6 different vehicle building sets containing 1 minifugure, and building instructions for each. 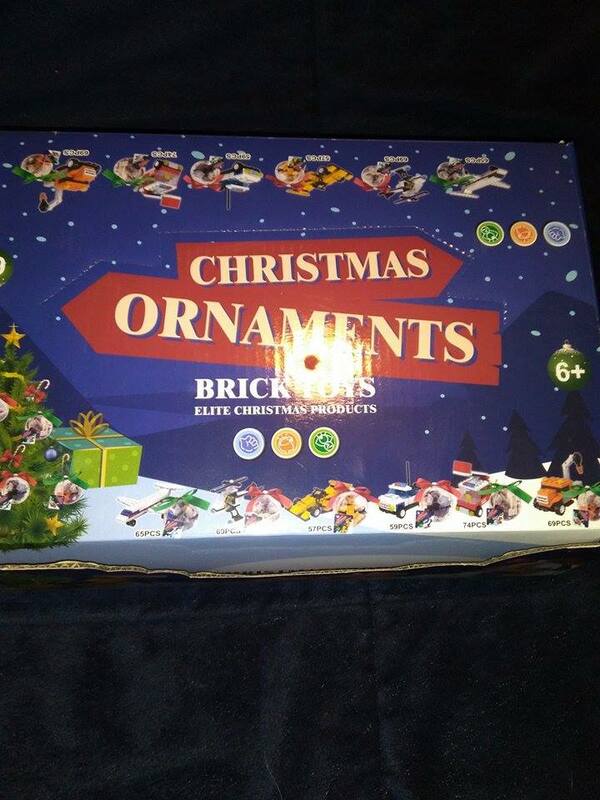 Each set has anywhere from approx 50-70 pieces. Each one is nicely decorated with a bow so they look nice on a Christmas tree. 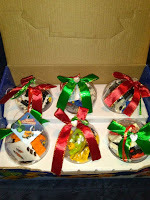 I received 3 with a green bow and 3 with a red bow. 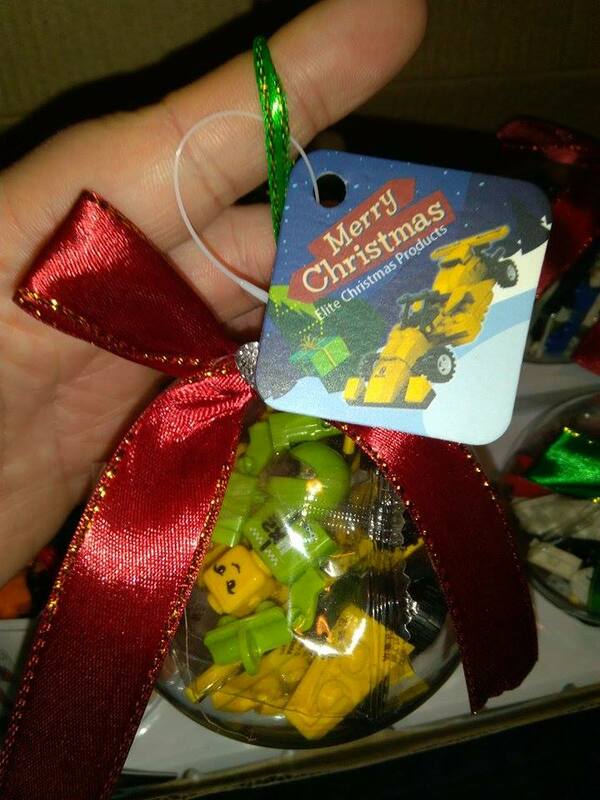 I really like how each one is clearly labeled on the tag which set is inside. 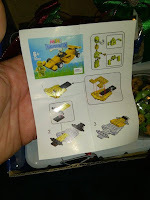 The instructions are pretty easy to understand and the blocks easy to assemble and like most building blocks can be difficult to take apart. Overall I'm impressed with these building brick Christmas ornaments. Right now they are $17.99 on Amazon for the box of 6 at about $3 each I feel they are definitely worth it. 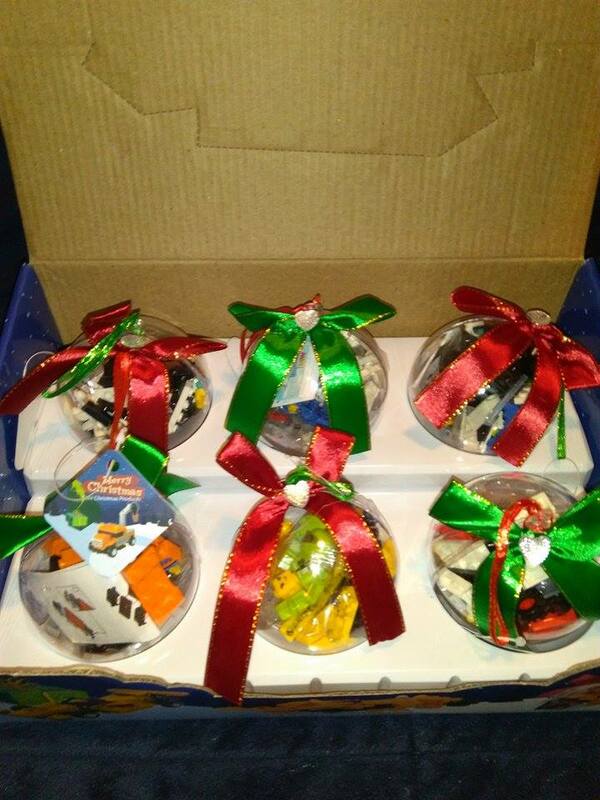 These would make a great Christmas gift for kids, stuffing stuffers, or even used in some Elf on The Shelf ideas. I would like to note these are taped together but might need to add extra to keep them together better. 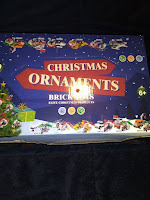 Also the ornaments would be great to recycle into more ornaments next year or even a mold to make giant bath bombs.